If you know me at all, you know exactly what this blog is going to be about. It's the game I've probably poured more hours into than any other. It's easily my favorite game. I'd go as far as to say it's the best game ever created. I agree with my friends who have said this may be the closest a game has come to its particular brand of perfection. The game is, of course Geometry Wars 2, and when I'm down, when I'm low, when I've got nowhere to turn to, I can always count on it. I can't talk about GW2 without gushing about it, nor without imparting some kind of advice, so I'll be doing both. In this particular installment, I'll be talking about Waves. As for why I love it so much, I won't mention such things as the infinite replayability; the rivalries on the leaderboards; the yearly white-knuckle tournaments at PAX; the adrenaline rush when think I'm doing well, but am too scared to check the score, lest I jinx it; the aesthetic purity in chaotic fireworks, wonderful to behold; the sore thumbs, still stiff the next day; the abuse of my bleary, dry eyes ... No, this time I will pass over those many sublime facets of the Geometry Wars experience. My reason today will be the ingenious craftsmanship that the developers infused into each mode--well, just Waves for today, but I could talk about all of them -- that sets my imagination afire as I play. The game board. Waves just come at you. Waves is a mode where orange arrows assail you in long, straight lines from the four cardinal directions, i.e. from the left, right, top, or bottom, moving straight across the screen. 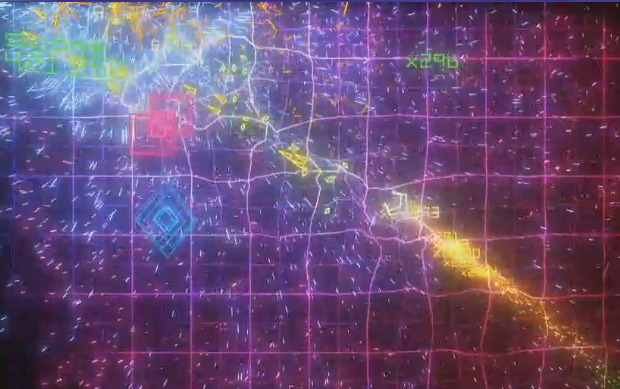 Meanwhile, pink squares, blue diamonds, and green assassins spawn in various places and attack you as they normally do. If you stay alive long enough, gates begin to spawn too. If the mode escalates beyond this, I haven't lived long enough to see it. If you take just the first sentence of my description, the game mode is actually kind of plain and boring. 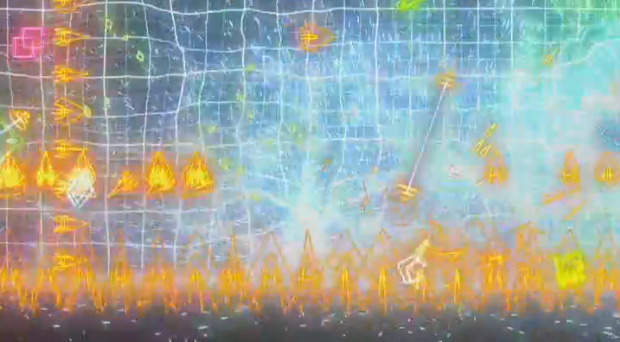 Any competent player can blow holes in lines of orange arrows and safely pass through them pretty much indifferently. The genius of the craftsmanship is mainly in the pinks, blues, and greens. The developers crafted and tuned their behavior in this mode to have two incredible properties: firstly, they tend to spawn not randomly around you, but roughly in your path. Yes, the way they spawn requires you to change direction, usually when it's quite inconvenient. See how they're nearly right in his way? 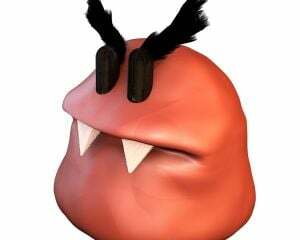 Secondly, the movement of these enemies is nearly always such that you don't tend to kill them in the usual manner of clearing waves of orange. They sit on the periphery, calling attention to themselves but infrequently, until it's too late. Let me state that again, plainly: if you go about your business just clearing orange arrows, you are unlikely to also kill the pink, blue, and green spawns. This is in sharp contrast to most of the game's other modes. It's something inherent in the combination with the long lines of orange. I remember when I was young. I'd just graduated from college and gotten my first job. The thrill of freedom was heady, and I threw myself into my work with all the gusto expected of a child starting something new. The work steadily increased, but I tackled it in a methodical manner, setting up systems upon systems, catches, checks, fallbacks, and all manner of mechanisms to ensure my thoroughness. Eventually I got married and had a family, but I still plowed ahead with my work, pushing them aside whenever they cropped up. It wasn't until years later when the sins of my neglect finally caught up to me that I looked back and wished I had dealt with all those little issues before they grew into real problems. Did I mention? 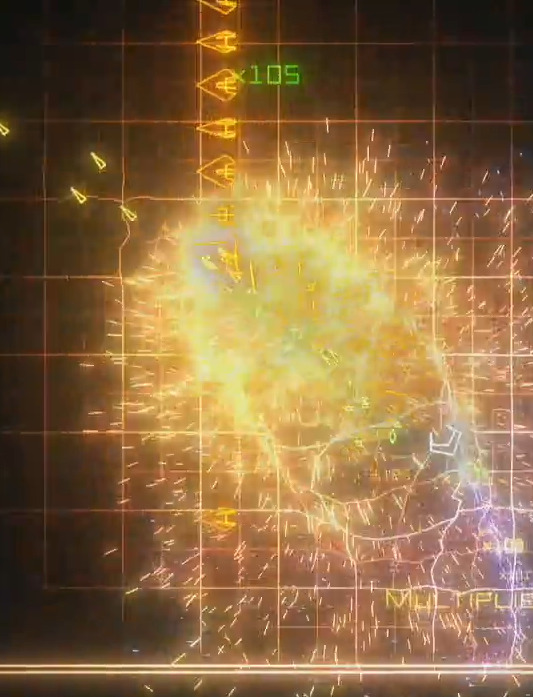 When I play Geometry Wars, it pries open my brain with a crowbar, seasons the stew, and stirs the pot. I slip into a kind of trance in which my mind entertains all manner of strange possibilities. The last time I played, my runaway imagination wrought Waves into a metaphor for managing the manifold responsibilities we all face as adults. They say drugs conduct the mind toward some higher reality; I say this is even more powerful. Getting back to the unsolicited advice, I've thought up and tried three different ways of playing Waves. I'm not sure all three are equally effective, but maybe one connects well with your play style. If you watch some videos online, you'll see that some people are really good at following the lines of the waves of orange arrows. They neatly sweep up in the wake, blasting them while following closely. It's clean and methodical, especially when you have the aim and control to keep it up consistently. I can do it for a little while, but get easily overwhelmed, so I drop it after the first 5-6 waves or so. What I especially like about this method is how it adheres to the wave-like spirit of the gametype, since you move this way and that to the rhythm of the arrows. I was a slacker from the day I was born; I'll be the first to admit it. I coasted through school and stuff, because I didn't really care. If things get done, they get done. If not, then whatever, man. When I finally had to start working, I did pretty much as little as possible to get by. I mean, who wants to work hard anyway? What a drag. I don't know what happened, though. All of a sudden all these bills and weird "responsibility" things had piled up. What did they expect me to do about it? Another thing you can do is make what we in computer science call a "best effort" (that is, try but don't sweat it if you don't succeed) to clear away waves as they appear, but with the goal of punching a hole in the wave to fly through. To do this, I try to put as much distance between my ship and the oncoming wave as possible, and spray towards the middle, making sure to bobble the stick to get a good spread. Once you're through the hole you can try to clean up whatever is left of the wave from the other side. From what I mentioned before, there's actually a third facet of genius craftsmanship in Waves, and that is the abrupt transformation that takes place about, oh, 35 seconds in, if you make it that far: gates start appearing. Quick recap: gates explode when you run through the middle, giving you 5x the points for all enemies killed in the blast. So the first part of the game is really all about simply surviving until it switches to "gate mode", so that then you can go on a "gate run" until you die. I'm at my wits' end. For years I've had my back to the wall, watching the advances of my enemies, ever encroaching, ever nearer. They told me I'm paranoid, but they don't understand. I play it safe, deal with things as they come, and keep to myself as much as I can, but I'll never really be safe living like this. Can a man survive this way? Who can really say? I have only one chance. I need to get out of here, need to break free, risk it all in one bold maneuver or die trying. After all, I have but one life. The last way is what I think of as hiding in the corner. You hug one wall, probably top or bottom, since the screen is not a square, and you'll have more warning of waves approaching from the left or right. With a wall, you are basically safe from one side most of the time. You bide your time using the wall as safety until the gates arrive, then go nuts. Run for the gate. It's right there. Make a break for it. Set yourself free. I have a deep connection with this game, more so than any other. I overthink it way more than anything else. At times my wild imaginings bring it to life as a confidant or an antagonist. What kind of faithless beast would I be if I left it aside? Addendum: Thanks to Thor1314's ridiculously skillful run for my screenshots.